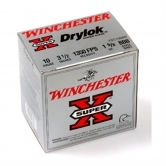 We stock Winchester Dry Lock Super Steel Shot Shells, Wincester Xtended Range Tungston Shot and SAGA. Price is per 100 unless otherwise specified. For Duck and Goose Shooting. 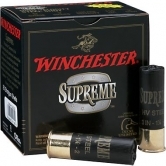 We also stock Cartridges for clay pigeon shooting. 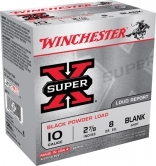 Winchester Drylock Super X 12 guage 3"
Winchester Drylock Super X 12 guage 3.5"
Winchester Drylock Supreme 10 guage 3.5"
Winchester Elite Xtended Range Turkey Load 12 guage 3"
Winchester Elite Xtended Range Turkey Load 12 guage 3.5"
Winchester Elite Xtended Range Turkey Load 20 guage 3"
Winchester Super X Yatch Starting Blanks 10 Guage 2 7/8"